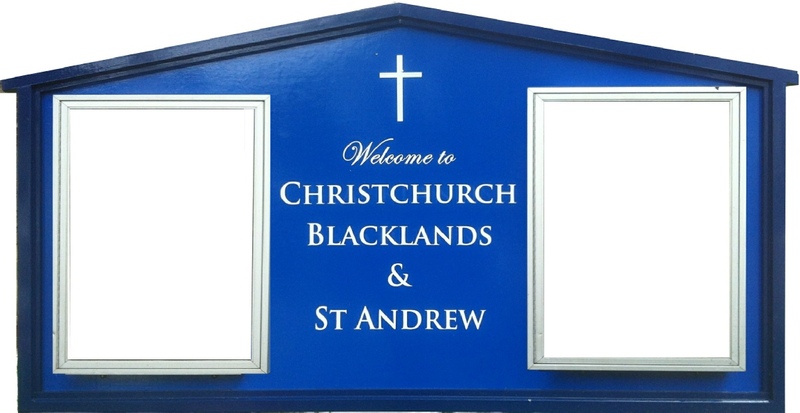 ﻿ Christ Church, Blacklands & St. Andrew, Hastings. The Annual Parish Meetings are immediately after the Service at 12:00 noon on Sunday 28th April. The webmaster offers sincere apologies for the lack of recent website updates, caused by hardware and software problems with the computer used to hold the source code. It is hoped it is fixed now, but the software and source may need to be transferred to a new machine. We are very pleased to announce that we have been awarded “Dementia Friendly Church” status by Dementia Friends and also that we are recognised officially now as an “Assistance Dog Welcome” Church by Assistance Dogs UK. We have two fully trained “Dementia Friends”, Charmaine Hill and David Jones. David, through his work with Therapy Dogs, is fully qualified to support Guide Dogs, Hearing Dogs, Medical Detection Dogs and Canine Partners for Disabled. The site changes frequently as news breaks, events are announced and things happen, so please come back and see what has changed, been added and updated. The newsletters, from November 2011 to date, are being reformatted and relocated to give better accessibility. The newsletter for April 2019 is here. The Parish has made real progress in the “Adopt-a-Street” Initiative for Hastings and St. Leonard’s. We have the third highest number of adoptions, after King’s Church and His Place, with more to come. There is a new section here where you may read a brief description and sign up to “Adopt-a-Street”. Please do browse the site, pray with us and for us, and even better, visit us in our beautiful Church building for services or social events. This site is best browsed using FireFox 20 or higher (which gives the best results), Internet Explorer 8 or higher, Safari 4.0.3 or higher, or a similar recent browser, at a screen resolution of 1280 x 800 pixels, in full 32 bit colour. Viewing from a G4/G3/WiFi mobile device is not recommended at the moment but we may create a mobile browser friendly version for iPhone and similar if there is a demand. This week’s Pews News is here. 6 “Don’t be alarmed,” he said. “You are looking for Jesus the Nazarene, who was crucified. He has risen! He is not here. See the place where they laid him. 7 But go, tell his disciples and Peter, ‘He is going ahead of you into Galilee. There you will see him, just as he told you.’ ”Mark 16, verses 6 and 7.